I was running late so I grabbed the most eye popping pieces from my closet pile of clothes which turned out to be the fish scale sequined jacket that can almost serve as a prismic disco ball and the rainbow sorbet dip dye shorts. I'm settling back down in LA and still in somewhat of a post New York mode, but nonetheless, Los Angeles Fashion Week has begun and I started off my first few shows with the Los Angeles Fashion Council. Jen Awad went retro and incorporated bits of the 60s into her collection which I love since it's one of my favorite eras. How adorable are the cateye sunglasses? 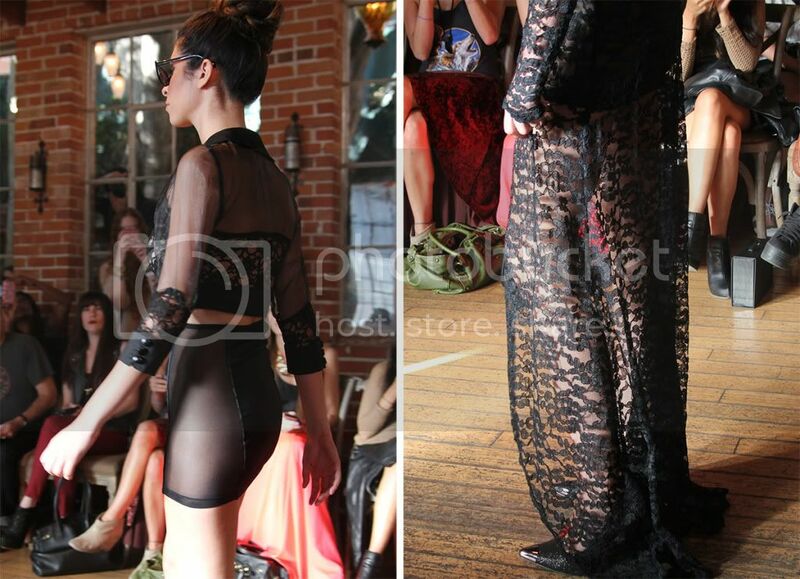 I actually met Jen, who is a total sweetheart during New York Fashion Week and found out she was showing for LAFW. Bohemian Society's show was definitely NSFW and the destruction is creation theme consisted of a lot of ombre, killer shoes, and quirky accessories. 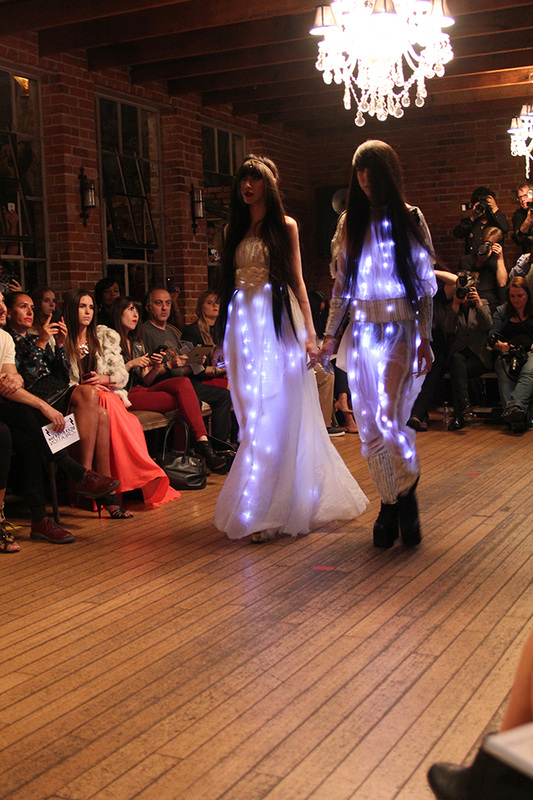 The finale pieces were gorgeous and the models channeled fireflies walking down the runway. I also can't believe I did this but I forgot my memory card for Kittinhawk's show but if you want to catch a glimpse taken with my not so great phone, check out my Instagram! how fun! im really intrigued by the again rack. cant wait to see more! Wow your shorts are awesome! Love all the photos. Btw, thanks so much for the nice comment on my blog. I already follow you on GFC, hope you too! And if you want, we can follow each other on other platforms. Just let me know if you do through a comment or a post on my facebook page and I'll definitely follow you back! I love the first two looks with the flouncy mini skirts! amazing photos! you look gorgeous too! loving your sequin jacket ! Nice blog, I like this post a lot!!! :) Maybe could we follow each other? Oh anyway, I would like you and your readers to check out this new Bloggers Against Social Injustice network where fashion bloggers come together to make this world a better place.